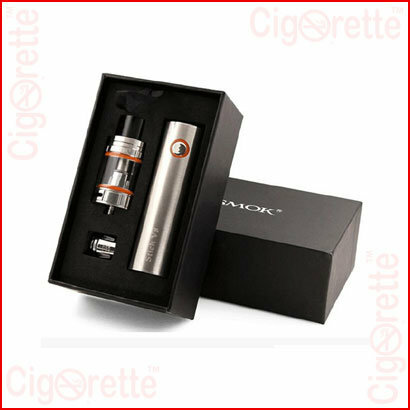 This pen style V8 Kit from SMOK is an amazing starter kit that provides the user with a nice vaping experience. 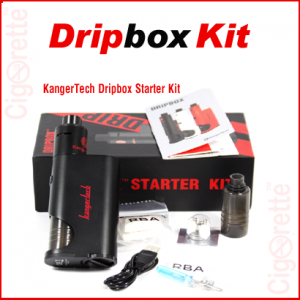 It has a 3000mAh high capacity battery and 5ml TFV8 big baby tank. 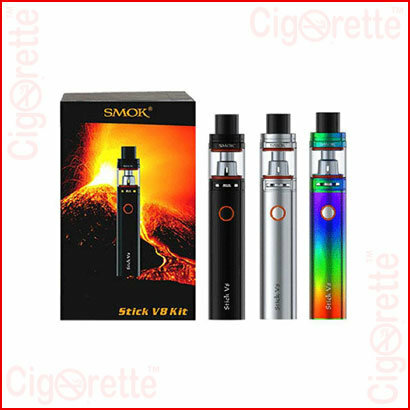 V8 Kit from Smok will bring you a smooth and flavorful vaping cloud, and will definitely be your favorite daily vaping device. 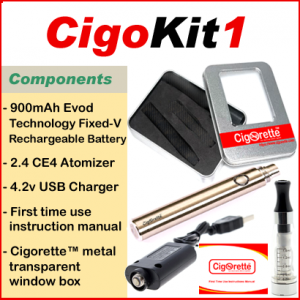 The intelligent battery life indicator of Stick V8 battery will blink four times each time you take a puff. 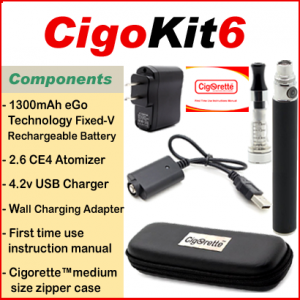 When it blinks fast 15 times, it indicates that the voltage is lower than 3.3V, which means go ahead and charge your battery. 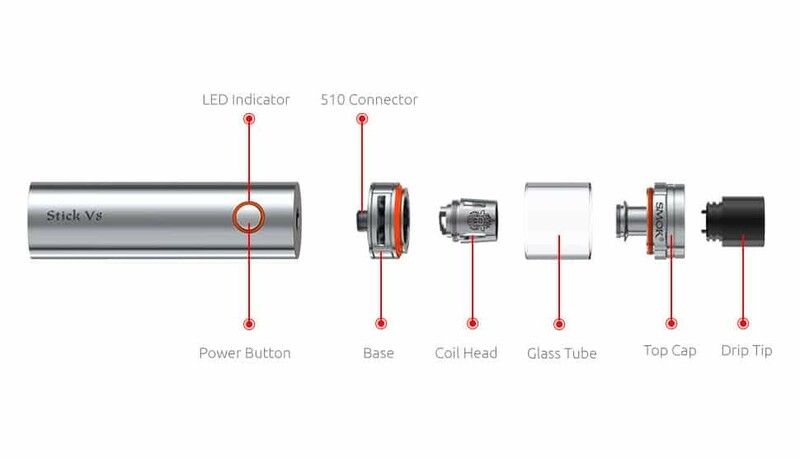 SMOK Stik V8 Kit has various smart protections, such as 8 seconds drag length protection, low resistance coil protection, short circuit protection, and low voltage protection. 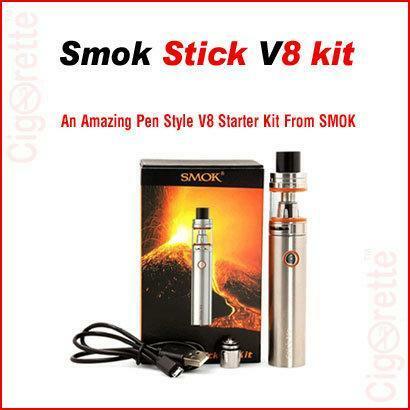 Hey Buddy!, I found this information for you: "Smok Stick V8 Kit". 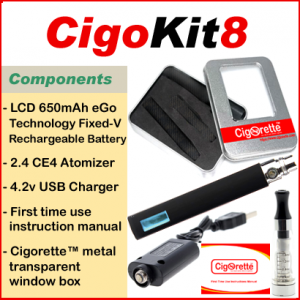 Here is the website link: //www.cigorette.com/shop/kits/other-kits/smok-stick-v8-kit/. Thank you.